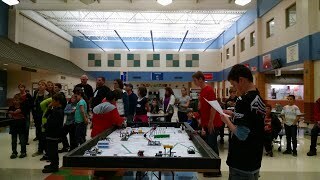 Greenville Middle School, from the Hortonville Area School District, hosted an FLL scrimmage. 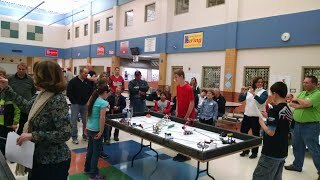 We had the opportunity to judge the teams in Teamwork, Robot Design, and Project areas. 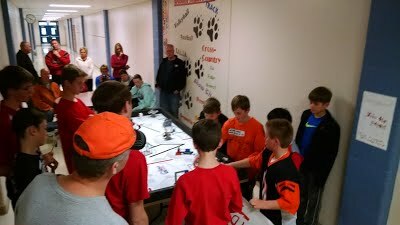 The teams brought their projects, robots, and their great attitudes! We started off the night with presentation, design, and teamwork judging. 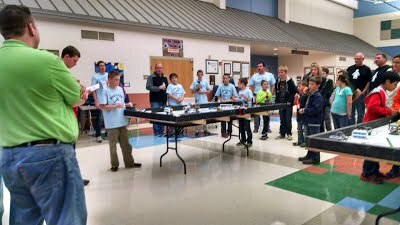 After judging each team individually, we started the robot games that were essentially a mock FLL competition. 7 teams got to practice everything they prepared and put hard work into. They also got feedback from our team on what to improve. We had a great time helping out our little apprentices!